Group accommodation in the Achterhoek for 30 people. Always wanted to know how it feels to sleep in a cupboardbed? Come and spend a night in our spacious and luxurious cupboardbeds to experience a nostalgic and comfortable overnight stay, with a wink given to the past. The group accommodation with 15 cupboardbeds for 30 people is fully equipped. The comfortable guest lounge is spacious and equipped with a seating, dining area and a cosy bar. There is an outdoor playground and a separate heated indoor playroom for the children. 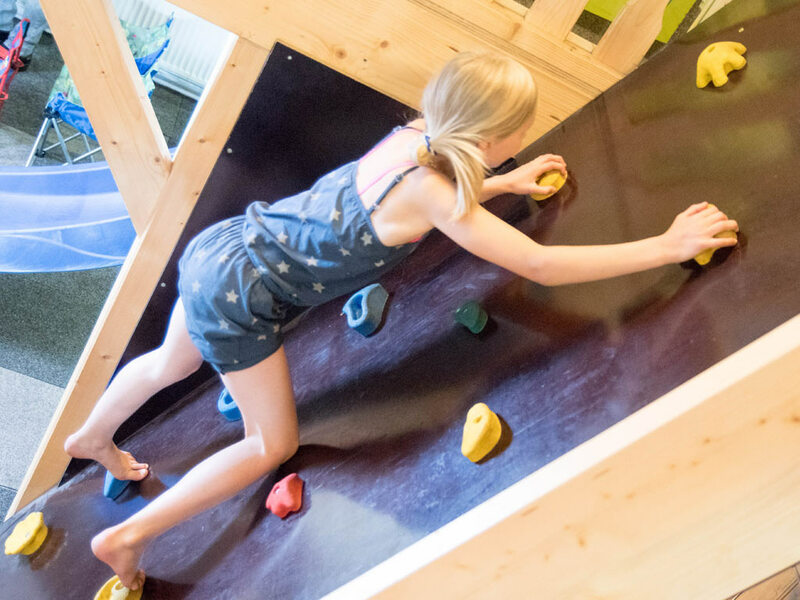 This makes the accommodation a real experience for all ages! Welcome to Kom in de Bedstee. The group accommodation is located in the beautiful area of Bredevoort, in between Aalten and Winterswijk. 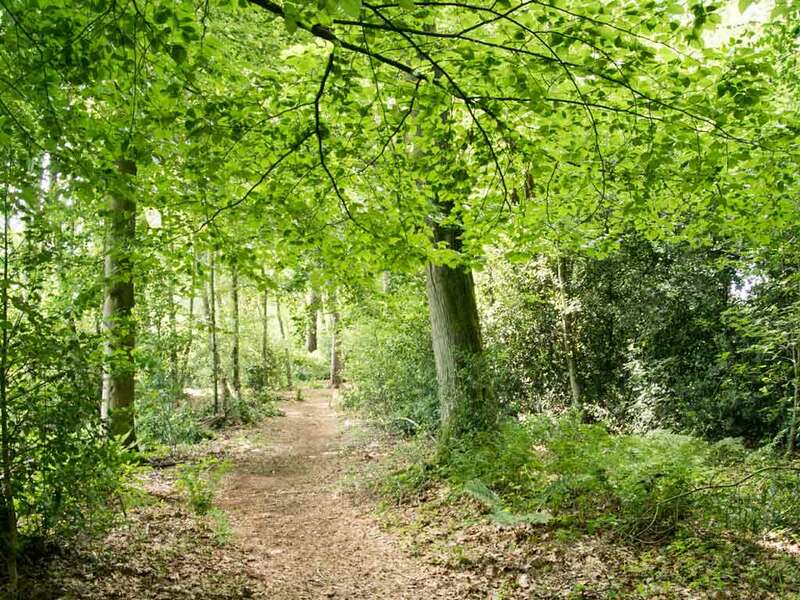 In the forested area you can go for a lovely bike ride, a walk or mountain biking. Make use of the bike junction network to optimally enjoy the countryside of the Achterhoek. On the terrace are a lot of lawn chairs and picnic tables where you can have a lovely chat. You could also go for a game of volleyball on the playing field. 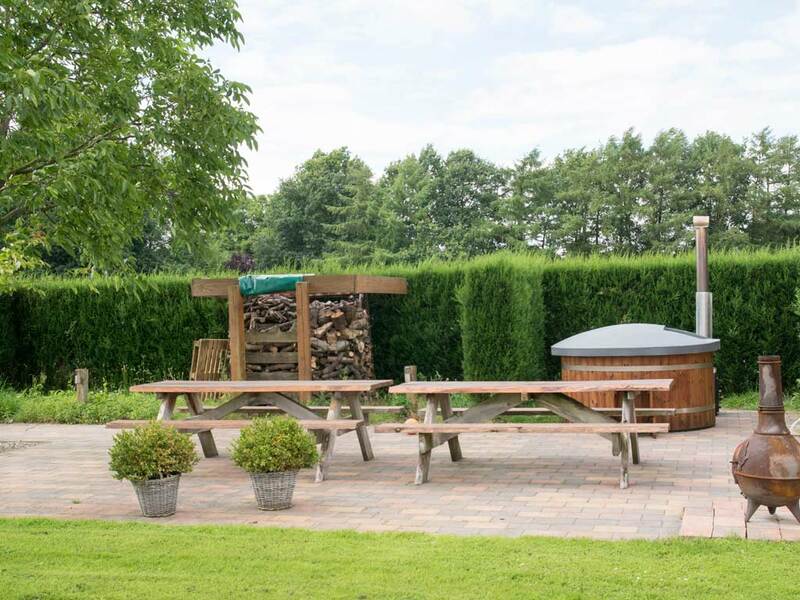 For the real fan a wood fired hot tub has been places where you will get the ultimate relaxation, together with your family or friends. You are most welcome in our group accommodation with 15 bedrooms – cupboardbeds – from 20 to a maximum of 30 people. Are you with a small group? Small groups that would like to spend a night in a cupboardbed could make use of our holiday accommodation in the hamlet of Woold, near Winterswijk. In that hamlet a new holiday accommodation has been built, equipped with 6 cupboardbeds suitable for 12 people.